Vitiligo is a condition in which the skin loses melanin, the pigment which gives skin its color. White patches begin to appear on the skin and grow on any part of the body. 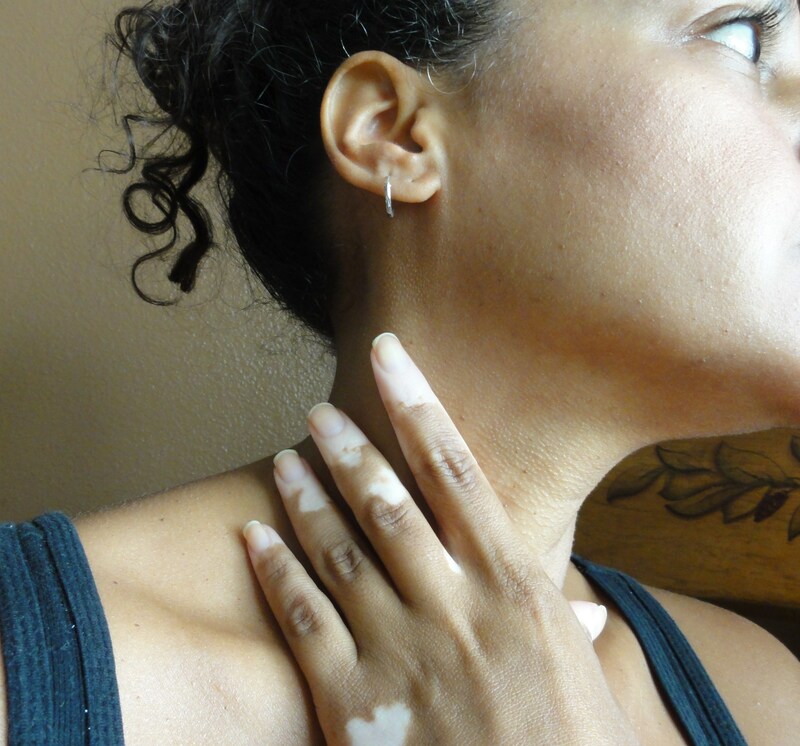 Although there are treatments, such as Narrowband UVB, that are proving to be successful at re-pigmentation, there is no known cure for vitiligo. We also don’t know what causes vitiligo, although there are many theories. I have been living with vitiligo for about 10 years. I currently have vitiligo on my hands, feet, and thighs. I have seen some re-pigmentation on some areas of my body, while in other areas there has been more loss of pigmentation. But over all, my vitiligo is slow spreading. Although it causes no physical pain or discomfort, it can be psychologically distressing for some. I have tried products that claim to help with vitiligo, and I also experiment on my own using natural ingredients. I will share my results of these with you in future posts. Until then, don’t be afraid to ask questions or share your personal experience with vitiligo. We can always learn from each other.